Description Let's go and play classic addictive game with a goal to connect three and more same Christmas decorations. 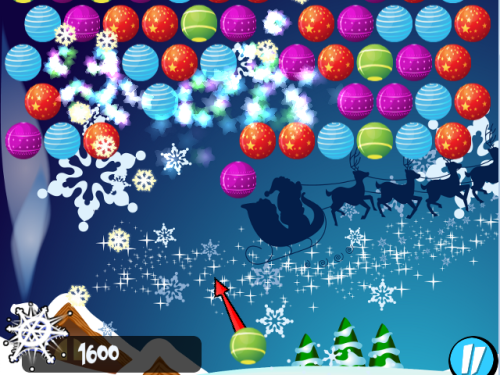 Bubble Shooter Christmas is themed to Christmas holiday with nice graphics and visual effects. The game has endless gameplay. Each 25000 points you reach, level is increased and game became faster. Controls Use Mouse to control the game. Conect three or more same Christmas decorations to get scored. More decorations, more points.